Drago (ドラゴ, Dorago?) is Dan Kuso's Guardian Bakugan and the Bakugan main protagonist of the Bakugan Battle Brawlers anime series. He serves as a battle partner, a guardian, and source of wisdom. Although he is impatient and a pacifist, he wants to help Dan protect Earth and Vestroia. 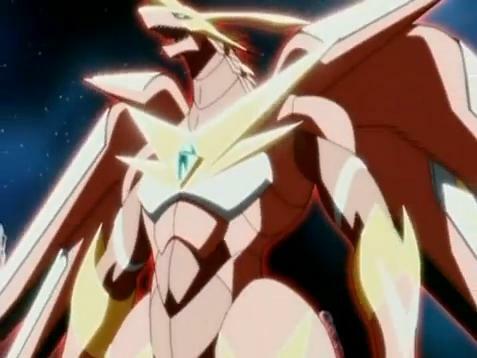 He is the direct descendant of the Original Dragonoid, one of the two first Bakugan ever created. In Bakugan, 001 point difference is an instant OHK, It's rarely seen any Bakugan survive at double figures, let alone single digits. The Silent Core is a huge orb of pure dark and negative energy from the very center of Vestroia that initially trapped Naga within it. The Infinity Core is a huge golden-colored sphere of pure positive energy and has the ability to heal the sick and injured, dispel darkness, and purify evil, as seen when Wavern brought a baby bird back to life and cured Joe Brown.